Bucktons Parrot Food With Spiralife - 1.5kg. 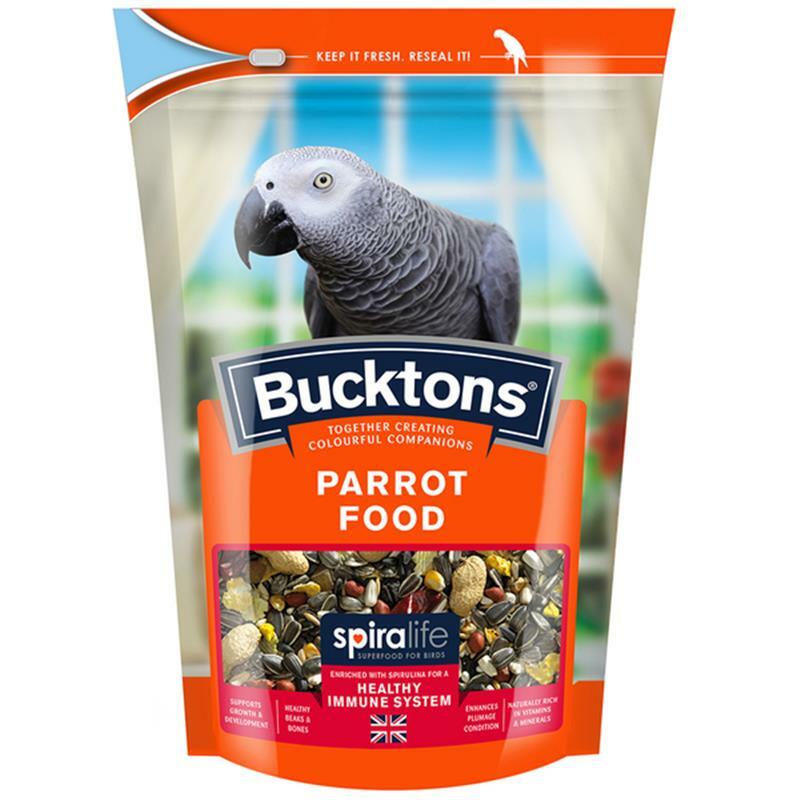 Bucktons Parrot with Spiralife includes a wide variety of ingredients for added interest and stimulation, with the added benefit of the Spiralife pellet. Spiralife is a natural enrichment unique to Bucktons bird food. Carefully developed to enhance plumage, as well as support healthy immune and digestive functions, benefiting your birds overall good health. This feed is also enriched with calcium and a variety of vitamins and minerals to keep your bird happy and healthy. Provides a variety of shapes and textures for stimulation and enrichment. Composition: red maize, pellet, red dari, flaked peas, flaked maize, popcorn maize, oats, white sunflower seeds, black sunflower seeds, redskin peanuts, naked oats, buckwheat, white pumpkin seeds, chillies, extruded wheat, sultanas, coloured extruded wheat, banana chips, pineapple, papaya and pine nuts.